HTC has just unveiled the HTC U12+. This device packs some premium specs and the build really look much like the Samsung Galaxy Note 8. 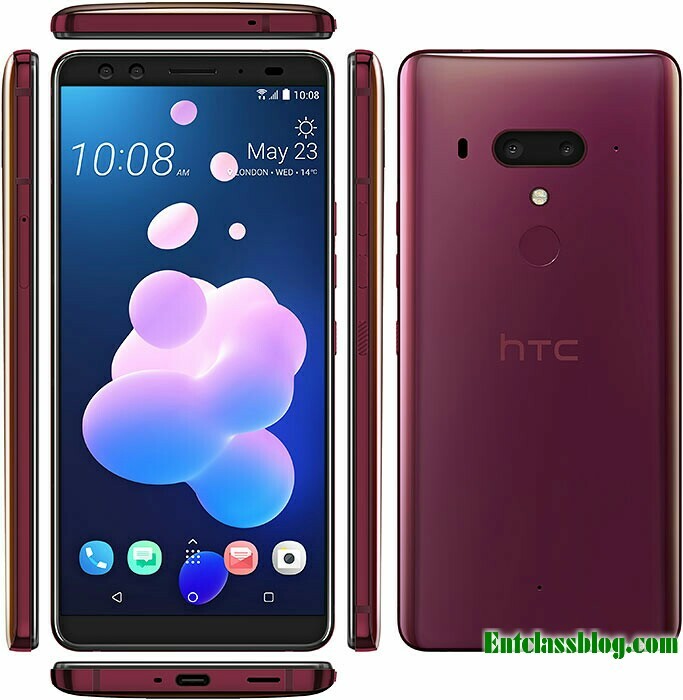 HTC U12 Plus features a big 6.0" FullView screen display of 1440x2880 pixels. On the back, you get a fingerprint sensor, dual cameras - 12MP + 16MP with dual flash, and dual 8MP front facing camera with no flash. HTC U12+ comes in two different versions - 64GB and 128GB internal storage, both having same 6GB RAM size coupled with a Qualcomm SDM845 Snapdragon 845 chipset based on Android 8.0 Oreo. Video [email protected], [email protected]/60/240fps, HDR, 24-bit/96kHz stereo sound rec. Price About 800 EUR / USD 934 / NGN 336,000.
wow specifications,I really love this phone,it has everything needed but it is too cost.